To me, horses and flowers are two very difficult subjects to photograph. "Why?" you say. "They are both very beautiful. Isn't it hard to take a bad photo of a beautiful thing?". That's the point. It is easy to get an ok shot of either of those things because anyone can do it. It's not hard to take a snapshot of a horse running and for it to look good because the horse looks good. But as I progress in this vocation, my standards are changing as I accept that almost everyone has a camera with them at any given time, and that the only way to stand out is to create images that the average person can't get. As I scour the internet seeking inspiration, the photos that stand out to me are usually the ones that include something unexpected; something you wouldn't see with your naked eye. 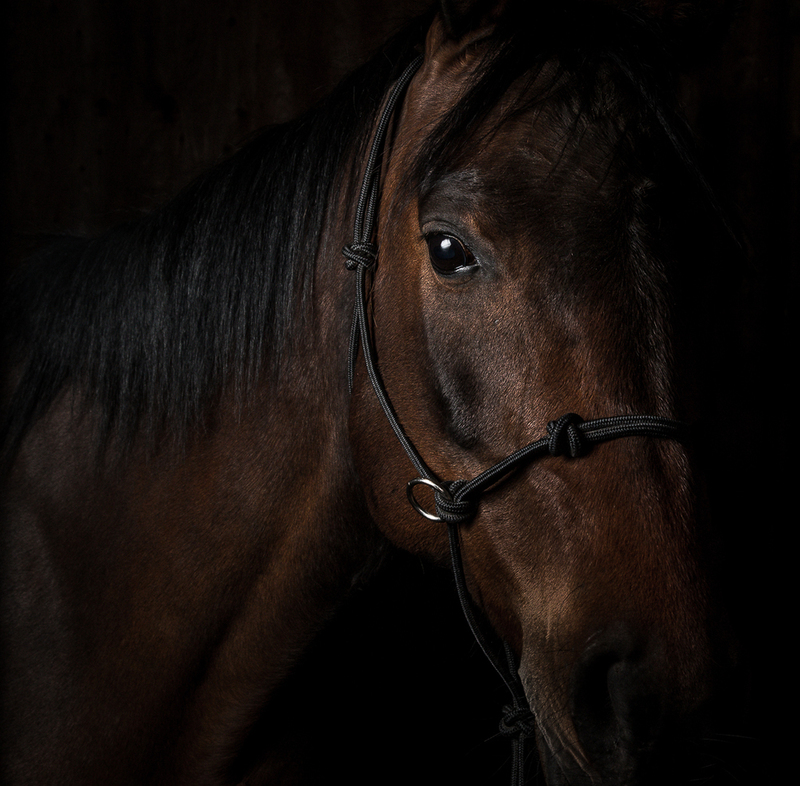 As I took these photographs of my daughter's horse the other night, I really wanted the lighting to be what set them apart from the hundreds of shots I have taken of him in the past. It was quite tricky to get the lighting right in his little stall, but with Jessica positioning him and me doling out the treats I think we got a few that are worth sharing.